Measurements: The stone measures 10mm x 8mm. 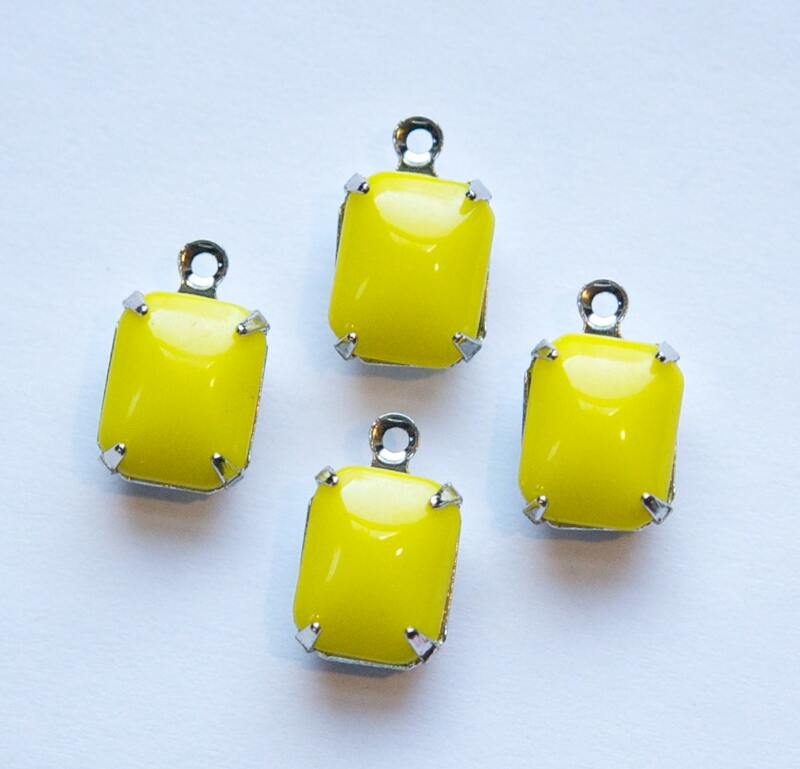 These are 14mm long with loop. Characteristics: These are set in an open back setting. Material: Glass, Silver Plated Brass.